Uber's pilot program will charge passengers a per-minute waiting fee after 2 minutes, or a $10 no-show fee after 5 minutes. Next time you hail an Uber, make sure you’re ready to head out the door or it might cost you. Uber is considering adding new extra charges for passengers who make their Uber drivers wait longer than two minutes. According to The Wall Street Journal, these charges will accrue on a per-minute basis, starting from the time the Uber app notifies passengers that their ride has arrived. In addition, Uber is decreasing the no-penalty cancellation window from five minutes down to two minutes. And passengers who make their drivers wait longer than five minutes without cancelling could be penalized with a $10 no-show fee. Basically, you’ll have two minutes to cancel the ride after requesting it, and two minutes to show up when it arrives, if you want to avoid these new extra charges. The ride-sharing app is rolling out this pilot program this week in four of its markets: New York City, New Jersey, Dallas, and Phoenix. But this fee structure could be expanded globally if it decreases wait times and helps Uber drivers pick up more passengers. “While we encourage riders to only request a ride when they’re ready, we understand that sometimes they are running a little behind. 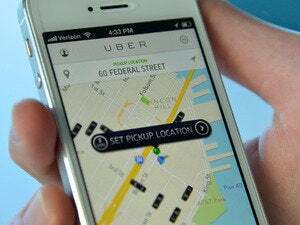 In these cases drivers will be compensated for the extra minutes they need,” Uber wrote in a blog post. The impact on you: Previously, the only repercussion for making your Uber driver wait for you was getting a low score on your rider profile, which could make it more difficult to hail a ride in the future. Apparently, that certainly hasn’t dissuaded passengers from taking their sweet time, and Uber told the WSJ that this new policy stemmed from drivers complaining about long wait times. Even though riders will only have two minutes to cancel without a penalty, Uber drivers can still cancel the ride for any reason at any time before arrival.